Portuguese Fire Safety code is prescriptive but the performance-based approach is allowed in some cases: retrofitting buildings (if it is impossible to be code compliant), singular buildings, structural fire resistance and evacuation design. However, the code doesn’t have any performance criteria or other any kind of specific conditions for the PBD approach. AHJ approval is mandatory but AHJ officials don’t have specific FSE knowledge and feel uncomfortable when dealing with a PBD approach. Fire Safety Engineering is growing in Portugal and there is a lot to be done concerning technical knowledge and proper regulatory framework. This conference intends to take a step forward promoting the PBD approach. 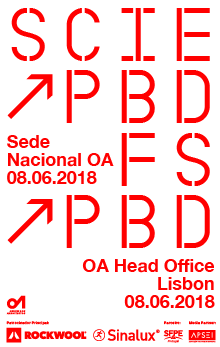 The conference is hosted by Ordem dos Arquitectos (Portuguese Architects charter organization) and co-organized by SFPE Portugal. The conference will be held in Ordem dos Arquitectos headquarters in Lisbon. Attendees regular fee is 75€. SFPE International member fee is 25€. Speakers don’t pay any fee (abstract acceptance notification until May 11th). The registration fee includes access to sessions, coffee breaks and certificate of attendance. Lunch is not included. Registration is made online here. You are invited to submit an abstract (two pages maximum) that will be accepted on the basis of their quality by the Conference Program Committee. Abstracts must be submitted by email to scie-pbd@ordemdosarquitectos.pt until April 20th using the conference template (download link in the bottom of the page). Presentations must be made by one of the authors in English or Portuguese. There will be no simultaneous translation. Lisbon, the capital of Portugal, lies by the Atlantic Ocean and River Tagus. Its history, gastronomy, climate, lively nightlife and friendly people make it one of the best holiday destinations in Europe. Lisbon's airport has direct flights to most European countries, USA and Canada. There’s a lot to see and do around Lisbon. You can go by train to Sintra, one of Europe's most romantic and enchanting towns, or Cascais, a delightful Portuguese fishing town where you can enjoy the beautiful Lisbon's coastline. If you prefer the contact with nature there are several sandy beaches and golf courses you can choose. Lisbon has a warm-temperate subtropical climate. In June the temperature ranges from 17 to 28ºC (67 to 82ºF), the average rainfall is 16 mm (0,6 inches) and you can enjoy 14,8 hours of daylight, 10 of which with sunshine. The sea temperature is also very pleasant: 18,6ºC (65,5ºF) in June. For more information please contact scie-pbd@ordemdosarquitectos.pt.